W niedzielę powraca z wnętrza habitatu załoga, która w ramach 8-miesięcznego eksperymentu przebywała w izolacji w ramach projektu HI-SEAS. (...) The crew played games designed to measure their compatibility and stress levels. And when they got overwhelmed by being in such close proximity to teach other, they could use virtual reality devices to escape to tropical beaches or other familiar landscapes. The project's lead investigator, University of Hawaii professor Kim Binsted, said the crew members also kept written logs about how they were feeling. Six people have emerged from an isolated dome in Hawaii where they spent the past eight months on a mock Mars mission, living in close quarters, eating dried foods and trying to get along. The experiment, run by the University of Hawaii, was the fifth of its kind aimed at helping scientists iron out the fights and inter-personal conflicts that are certain to arise among astronauts embarking on any long mission to deep space. The four men and two women emerged from their dome on Sunday, eager for a taste of fresh fruit, home-cooked dinners and the feeling of fresh air on their faces. "For me one of the things I missed from home was Portuguese cooking," said crew member Brian Ramos, in a video broadcast by CBS News. The program is funded by NASA, which hopes to send the first astronauts to the Red Planet sometime in the 2030s. 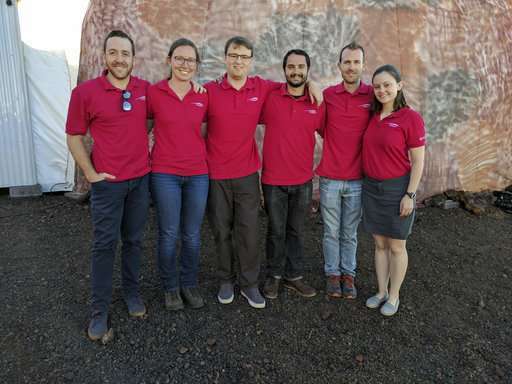 That eventual crew's ability to get along -- and its mix of personalities -- will be key to a fruitful mission, said Kim Binsted, who leads the research for the University of Hawaii's Space Exploration Analog and Simulation (HI-SEAS). "Having some variety is a good thing," she said in the video aired by CBS. "In a sense we are trying to put together a tool box for Mars and if you have a tool box you don't fill it up with hammers -- even if they are the best hammers in the solar system." Binsted said that while conflict is inevitable, overall, the latest crew did well when it came to their key tasks. Scientists monitored the team's face-to-face interactions for signs of emotional conflict, and gave them virtual reality headsets to manage stress. To make the experiment more realistic to conditions in space, crew members had to don spacesuits anytime they exited the dome, located on a remote slope in Mauna Loa. They were also able to email friends and family, but with a 20-minute delay. 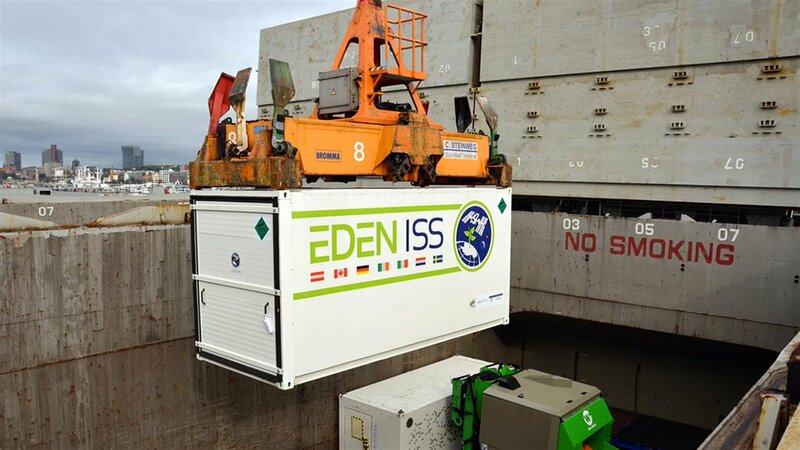 The next eight-month long HI-SEAS experiment starts in January 2018. "By mid-2020s we will probably be ready for the actual flight," he told AFP. 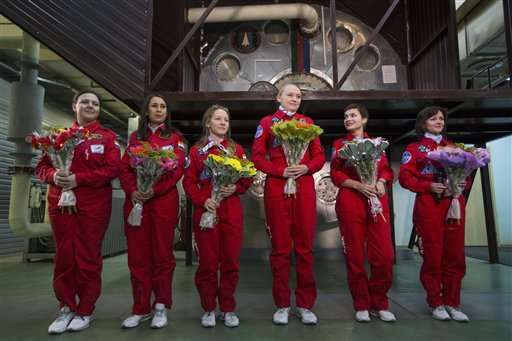 "This is the first time in Russian or Soviet history when a space crew has included more than one woman," the project's psychologist Vadim Gushchin told AFP. The team has been locked in a 250 cubic metre (8,800 cubic feet) module after promising to do everything to complete their mission, which will also examine psychological and physical effects of isolation. "I'm convinced that we'll be able to complete all of our tasks," said commander Mark Serov, before disappearing into the unit. They plan to spend their 1 1/2 hours per day of free time watching films, reading and playing board games. 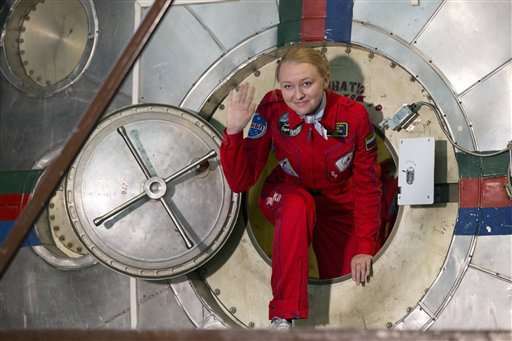 (...) Asked whether she missed the comforts of regular life, such as showering and sweets, while in confinement, crewmember Anna Kussmaul told reporters she was more concerned about her family. Zamiast misji na Marsa możemy mieć jej symulację na ISS. The ISS4Mars project would help astronauts get ready to venture farther from home. “[This will] not be a collection of individual experiments, but a fully-fledged simulation where all the gathered knowledge will come together for the first complete simulated Mars voyage,” said Cesare Lobascio, a space infrastructure systems lead at Thales. The advantage of such an exercise, he added, is that, in the event something went wrong, the astronauts could break simulation and return home safely within hours. That won’t be an option on a Mars expedition. Mars-bound astronauts are likely to follow different schedules than do the crews in Earth orbit. For example, while station astronauts typically exercise for two hours a day to fight the debilitating effects of microgravity, they may need more treadmill time on a Mars mission. Station astronauts typically have some difficulty walking when they re-enter normal gravity after long missions. On Mars, where the gravity is one third that of Earth, they’d likely have to start working immediately upon arrival. Chinese students spent 200 continuous days in a "lunar lab" in Beijing, state media said Friday, as the country prepares for its long-term goal of putting people on the moon. Two men and two women entered for an initial stay of 60 days. They were then relieved by another group of four, who stayed 200 days. The initial group will now return for an additional 105, Xinhua said. 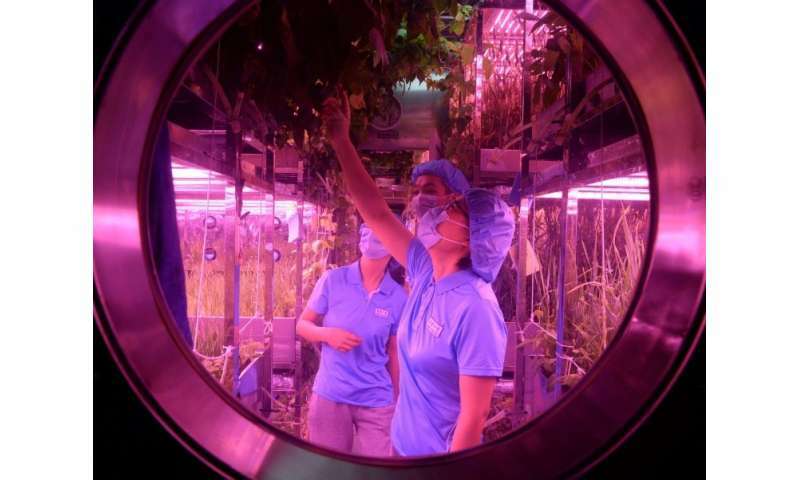 The "Lunar Palace" has two plant cultivation modules and a living cabin: 42 square metres containing four sleeping cubicles, a common room, a bathroom, a waste-treatment room and a room for raising animals. Chiński rekord w nieustannym działaniu zamieszkanej bazy analogowej (370 dni). Trzecia załoga przebywała w niej 110 dni. 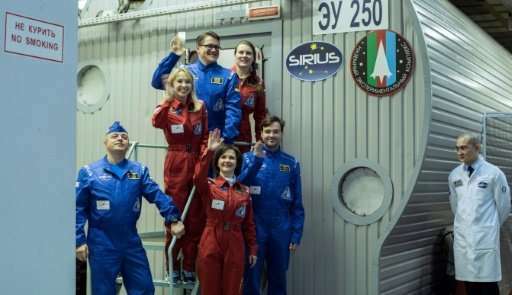 BEIJING, May 15 (Xinhua) -- Chinese volunteers have completed a one-year test living in a simulated space lab in Beijing, setting a new record for the longest stay in a self-contained cabin. Aha! Będzie jakaś symulowana misja księżycowa! (...) The crew of six is under the command of UH Mānoa’s Michaela Musilova, chief investigator for HI-SEAS and the International Moonbase Alliance.